Recipe from my coworker. We all love this. Mix all together. Use electric beater. Start w/ oil, flour, baking soda, cocoa, sugar, vanilla, egg. 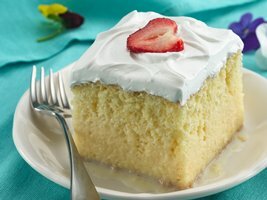 Mix with milk. Can mix by hand or use electric mixer. When the cookies have cooled completely, pair them up by size. Spread (or pipe) a dollop of the filling on the flat side of one cookie from each pair. Sandwich the cookies, pressing together to push the filling to the edges. 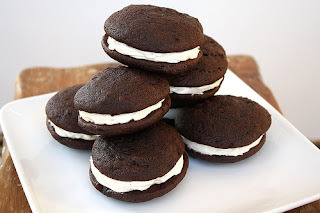 Store the whoopie pies in an airtight container.